From livestock feeders to structural insulated buildings, Vittetoe, Inc. is a national leader in innovative agricultural products. Founded in 1965 as a slat flooring producer, this company has grown and diversified its product selection to accommodate the changing demands of today’s farmers. Whether you need equipment to improve your crops or are searching for tools for livestock care, this company offers reliable resources at prices that won’t hurt your bottom line. 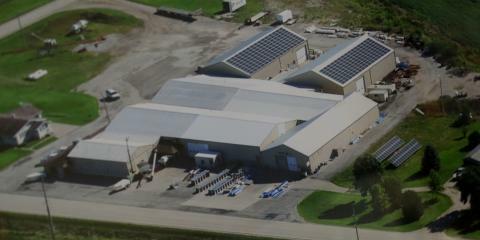 Manufacturing from a plant near Keota, IA, Vittetoe, Inc. produces a wide range of quality agriculture products. Designed by farmers—for farmers—this company is your one-stop shop for livestock buildings and gates. You can also turn to this team for innovative pig pen design that will help your stock live comfortably and efficiently. In addition to large structures, top-rated livestock feeders and gating, their Showstopper Equipment line provides equipment, supplies, and feed supplements for show animals. Vittetoe, Inc. also offers seed tenders and conveyors for sale. Their impressive chaff spreaders help ensure even distribution, regulatory compliance, and weed control for no-till planting. The knowledgeable staff at Vittetoe, Inc. can help you find the ideal solution for your livestock setup and need. Focused on fast service with confidence, this company offers convenient online ordering and trusted UPS shipping on most agricultural products or equipment. To find out how this respected name in livestock products can help improve your operation, browse the Vittetoe, Inc. product lines on their website. You can also call the team directly at (641) 636-2259 or 800-848-8386 to get answers to any questions you may have.